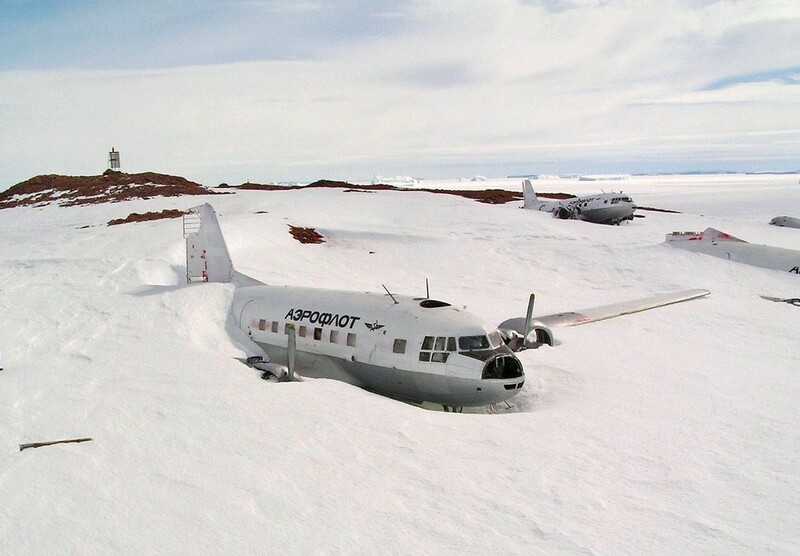 Weak equipment of radio engineering means air traffic control and navigation scientific Antarctic stations, low-quality radio in these conditions and longer route (2020 km), was not given the opportunity to actively manage traffic of the IL-14 №41816, control over the execution of the flight was carried out the report of the crew. At the turn of the return flight (Prydz Bay) forecast and actual weather at the airport of embarkation and on the route did not prevent the continuation of the flight in the future. The crew in the second half of the route fell into severe icing conditions, which are not foreseen by the forecast, and had to reduce the flight altitude. The crew, having dropped by 1500 m, fell into the jet stream - headwind force of the hurricane (up to 140 km / h), which caused a decrease in ground speed and a shortage of fuel in order to reach the destination. The plane at a distance of more than 200 km from Mirny station got into a white mist, which reduced visibility to almost zero. Crew 17.02.86 in 06: 50 Moscow reported on the rest of the fuel for 30 minutes of flight, and transferred to 07: 05 coordinates and the decision to manufacture the forced landing. The flight occurred over the Philippine coastal glacier. In 07: 10 Moscow time, communication with the board ceased, more than after 10 hours of flight. During the forced landing on the glacier, and its surface had deep cracks (ice), which were drifted, with zero visibility due to "whiteness" and probable icing, if it was impossible to determine the vertical distance to the surface of the glacier and the condition in these conditions, the plane collapsed The surface of the glacier collapsed completely. The crash site was detected from the air a few days later at a point having the coordinates 66 ° 50 'SUS, 88 ° 00' VD (at 240 km to the west of Mirny station). The service passenger and crew died. · A total of 6 people were on board: 5 crew members and 1 passengers. A total of 6 people died: crew members 5, passengers 1. Walkera Voyager 4. Specifications. A photo.